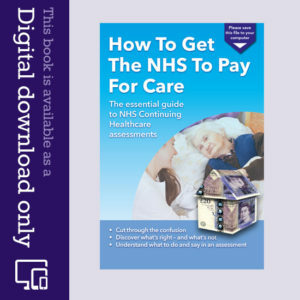 Care to be Different > Articles > NHS Continuing Healthcare > The revised National Framework – what impact will the changes have? On 1 March 2018, the Department of Health and Social Care published revisions to the National Framework for NHS Continuing Healthcare (CHC) and NHS-funded Nursing Care (read it here). Clinical Commissioning Groups (CCGs) have until October 2018 to adopt the new rules. The Framework has been updated to reflect the implementation of the Care Act 2014. As such, it makes clear that the eligibility criteria must be applied to everyone equally, regardless of where they receive their care. This removes the opportunity for interpreting the criteria differently for people who receive care at home. The Framework’s new wording removes this double standard, which is welcome news for patients whose needs can be met in their own home. 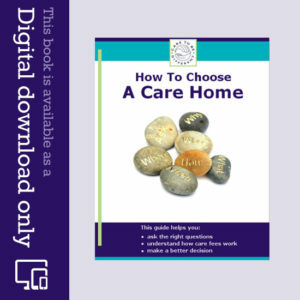 The definition of a social care need has been revised in accordance with the Care Act 2014. This should make it easier to differentiate between whether a care need is ‘social’ or ‘health’, and to judge whether the health needs of the patient are more than incidental or ancillary to their social care needs and therefore count as ‘primary health needs’. There is no definition of a primary health need however. Guidance on CHC reviews has been updated for the better. Reviews being primarily to check that the patient’s care package is working well, not about reviewing eligibility. Eligibility should only be reviewed if the CCG can demonstrate that the needs have changed significantly. Where eligibility reviews are carried out, they must involve a multidisciplinary team and use the Decision Support Tool. The description of the remit of CCG ratification of eligibility decisions has been improved, emphasising that‘Only in exceptional circumstances, and for clearly articulated reasons, should the multidisciplinary team’s recommendation not be followed. It has been made clear that where CHC processes are outsourced to Commissioning Support Units, CCGs remain responsible for all decisions of eligibility. The obligations on CCGs in respect of local resolution of appeals have been improved. For example, the introduction of a two-step process whereby a first attempt at bespoke, collaborative and genuine resolution should be made by the CCG. 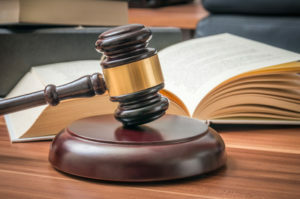 If that does not answer the individual’s concerns, the decision can be reconsidered by a panel. The definition of well managed needs still lacks clarity. The central test of a Primary Health Need remains unclear. For example, we feel there is still too much opportunity for CCGs to say that if the threshold of 2 x Severe or 1 x Priority levels is not hit in assessment, the person is not eligible. In fact, Primary Health Need is about whether the totality of a person’s health needs are more than incidental or ancillary to their social care needs – regardless of whether arbitrary thresholds are met. In our view the update falls short of bringing enough clarity to the complex concepts involved in making decisions about each patient’s eligibility for funding. This leaves the door open for the postcode-lottery to continue. My husband has just had his 3 month review, after 6 weeks of care. He is about to have a full DST meeting, though little has change regarding his health. When I complained the nurse assessor told me it was purely procedural and my husband’s care package was not in question. They must think I came down in the last shower of rain. This article is timely for me as LPA for my mother-in-law aged 88. She is being cared for in a dedicated dementia unit (EMI), where she has been for the last 2 years. She was transferred out of necessity from a residential unit as the staff were unable to safely manage her behavioural needs to her current unit where there is a high staff ratio and the ability to monitor her at all times and anticipate her needs to prevent deterioration in her behaviours. She was given full CHC in August 2016 where her DST report clearly stated that in totality her needs were beyond social care or just ancillary to her accommodation. She even was given two severe scores for cognition and behaviour. A CCG review 6 months later concluded that her needs had not changed. Since August 2016 her condition had deteriorated with now continence issues and the staff have new strategies to anticipate her needs and therefore she is well managed in the care setting. She has a DOLS in place for obvious reasons. A recent CCG review have decided that her needs to not fulfil the requirements for funding despite her well managed care but clear deterioration and are pushing for another MDT/DST. They see her as stable and thus not a primary care need. It is clear that her current placement and accommodation are integral and essential to her needs otherwise her so called stability would deteriorate if this care was withdrawn. The CCG have intimated that they felt that the original decision to give funding was flawed. Clearly the CCG cant say now that their decisions were wrong and therefore expect to withdraw funding despite that her condition has not improved but in the new environment is well managed. BUT they will. “Genuine resolution”?? Not likely and only at the top of appeal tree and if you complain to the highest. Of course your case has to be immaculately presented to best effect ( just like a CHC trained assessor so read up lots of info but it can be done by non professional.) Also remember IRP is no guarantee of an independent panel so be prepared to complain about that as well.5 years and still going, #don’t stop now. Also good to see the recommendation of a trained solicitor for those that need it. CHC process may get less daunting if we all keep fighting.